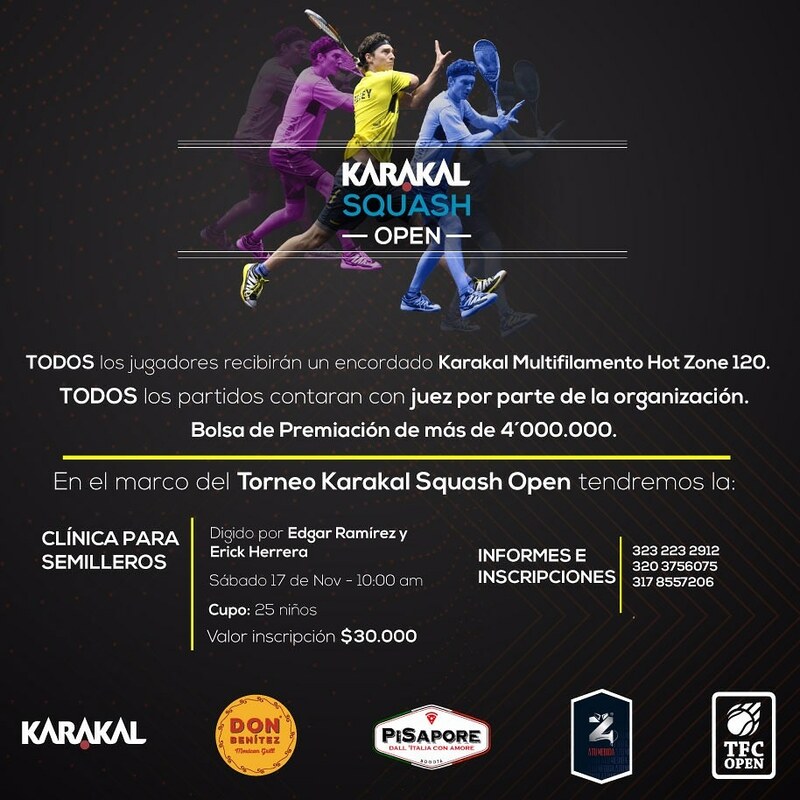 Karakal Colombia are sponsoring the Karakal Squash Open in Colombia's capital city Bogotá. Squash players from all across Colombia are invited to enter this exciting event, which will take place from the 14th 17th of November at the impressive Lagartos Country Club. Karakal products for all winners and runners up. Every player receiving a Karakal Hot-Zone 120 Squash String Coil. Tailor made shirt for all winners and runners up, sponsored by Camisas Zeta. Restaurant VIP cards from our sponsors, Don Benitez Mexican Grill and Pisapose. A referee, included by the organisation. A squash clinic for the young children, directed by Karakal players Edgar Ramirez and Erick Herrera. For more information or an entry form visit the Karakal Colombia Facebook page.